this is where my sweet little pilot press sits. it's well used and a sweet shade of dusty blue. inking up: a little ink goes a long way! getting the rollers all inked. 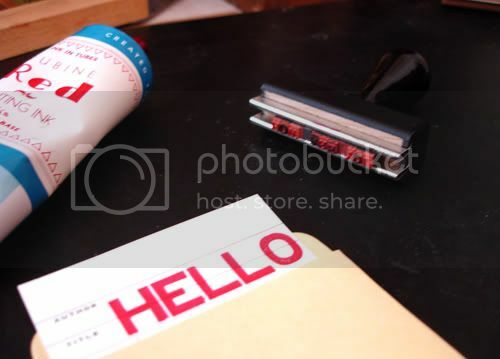 library 'hello' cards all printed. How sweet they are! I remember running big presses in college - I loved the smell of it all. Can remember it very clearly, thanks for the walk down memory lane this morning. Looks great! 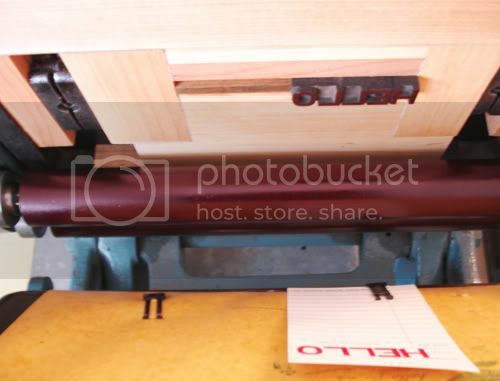 That's amazing that you have your own letterpress! 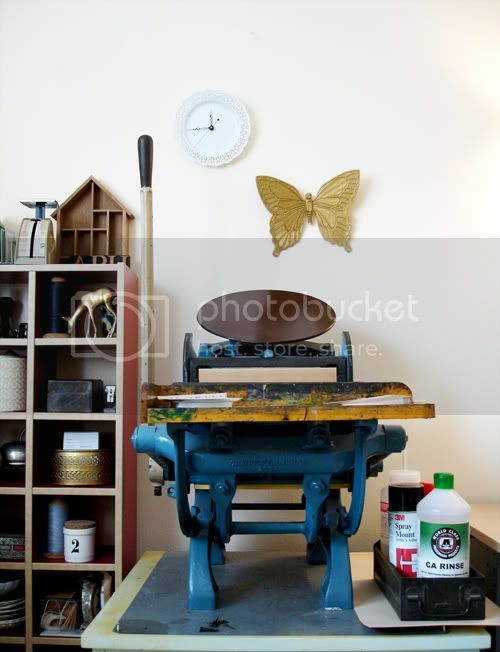 I can't believe you have your own letter press, that is so cool! I am envious too! Thanks for sharing. 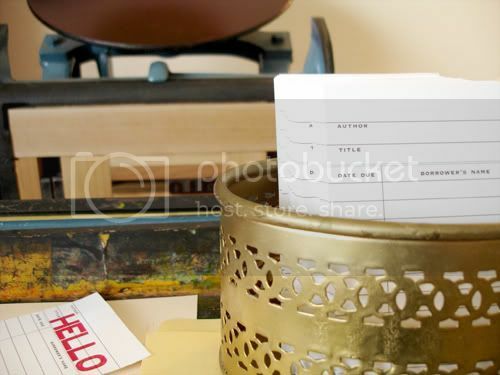 Its so cool you have a letter press! 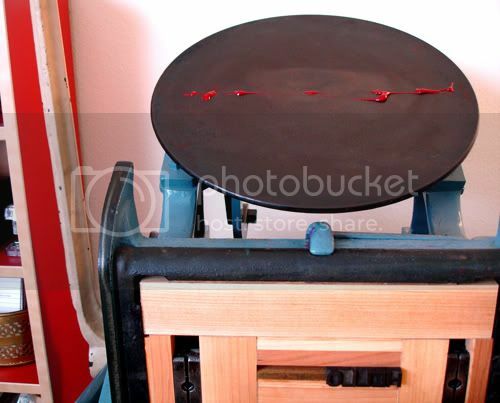 Awwww, I want a letterpress!! How very exciting! Where can it be bought? Thanks! That is awesome! I would love to learn how to letterpress. It just adds so much to a design. I love love love this mini tour! a seriously exciting new adventure! oh the things you can make! This is too cool!! Love it. SO fun!! 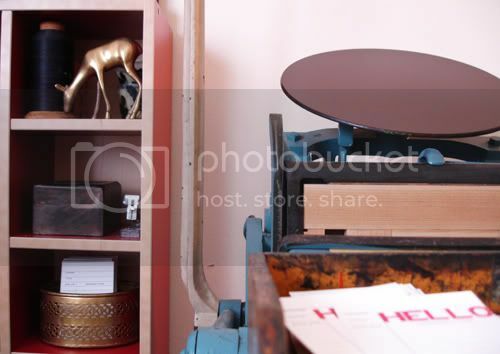 i want to learn how to letterpress so bad! omg! you make me want to buy a letterpress and learn how to use it, soo soo bad! love the blue shade of yours! How lovely, so funny I read this today! 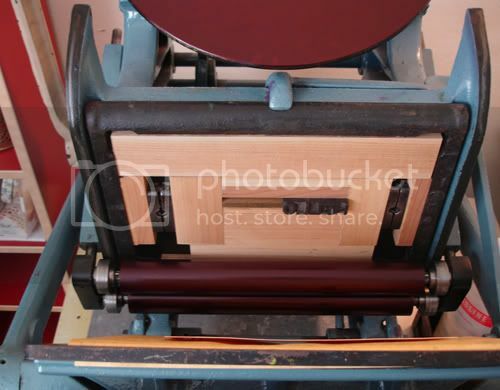 I am in the midst of design an invitation hopefully to be done on letterpress, will be my first experience with it. Love these! I've been coveting one of those charming little machines! Looks super fun! i love i love! letterpress is the best. what a fun find!